Eiga Geijutsu (Film Arts) magazine is not afraid to call a spade a spade, infamously publishing both a Ten Best and Ten Worst list each year about Japanese movie releases. But in this year’s round-up of the highs and lows of 2017, editor Haruhiko Arai has refused to consider animated works. The films that have particularly irritated him will be familiar to many readers of NEO magazine. 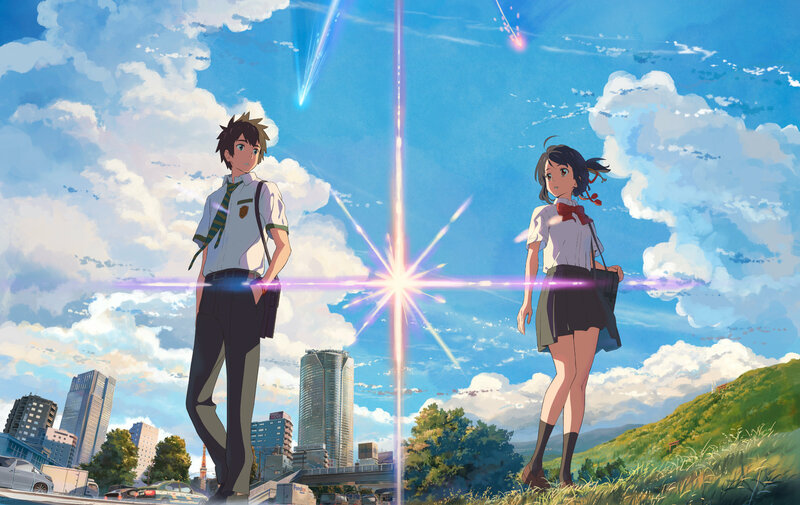 One is Makoto Shinkai’s Your Name, which prompted Arai to ponder at a screening whether the enthusiastic movie-goers enjoying themselves around him had seen any other films recently. Well, no they hadn’t. The huge box office figures for Your Name imply that many people who went to see it were either coming back for seconds or had not been to a cinema for a while. But how on Earth is that a reason to exclude it from consideration? It is surely an indication that Arai’s movie ratings are ignoring the opinions of the public. I, myself, make a living out of ignoring the opinions of the public, but Arai has not even afforded Your Name the backhanded compliment of calling it crap. He just stuck his head in the sand and pretended it wasn’t there. Ignoring things, says Arai, is part of the problem with modern anime. He is disgusted by Your Name’s uplifting spin on tragedy, and regards it as a betrayal of history. He feels much the same way about In This Corner of the World, for presenting a childish innocent as a victim of war. His reasoning is unexpectedly sound – frankly, it’s thought-provoking criticism. Your Name does indeed flaunt bad-taste brinkmanship by offering a reset button on an allegorical Tohoku earthquake – part of Shinkai’s incredible achievement lies in getting away with it. And ITCOW does rehash that old anime staple that regards WW2 as some sort of inevitable natural disaster visited upon the unsuspecting Japanese. But neither comment justifies pretending that the entire animated medium isn’t there anymore! In discounting two of the best anime of 2017 on spurious ideological grounds, Arai risks consigning his own magazine to the doldrums of film criticism. Instead, he argues that anime viewers are somehow cine-illiterate, unaware of trends and tropes in film itself, dumbly consuming pointless pap without any understanding of film as a medium. So I guess that tells us all where Miyazaki can shove his Oscar. Jonathan Clements is the author of Anime: A History. This article first appeared in NEO #175, 2018.